The Franklin radar picks up this profile of FHS alumni Lexi Martin now entering her senior year at Merrimack College. 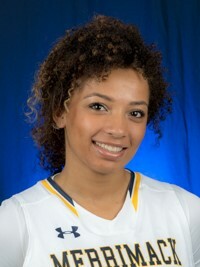 "Lexi Martin is a senior guard on the Women’s Basketball team. Before coming to Merrimack, she attended Franklin High School in Franklin, Mass., where she was four-year letter winner and two-time Hockomock All-Star. Martin emerged as a contributor on the team during her first year and continued that through sophomore year. She missed the entire 2017-18 season due to an ACL injury, but looks to come back even stronger for the Warriors this season. Martin majors in International Business. My mom got me into basketball when I was little. She started training me and helped coach my travel team growing up."